Considered amongst the most prestigious shoes a woman can slide her feet into, the creations of Christian Louboutin are, for many, the epitome of stylish and luxurious footwear. 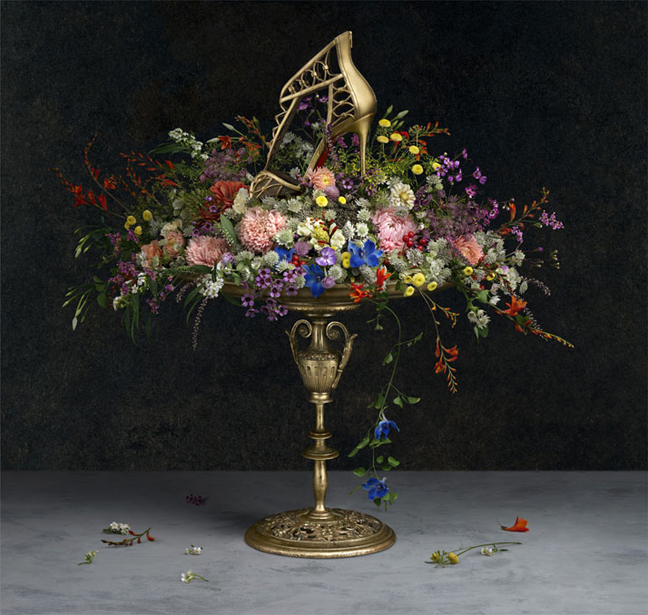 For the past six years, the brand has created its campaigns in collaboration with American photographer Peter Lippmann, a celebrated still-life photographer known for his painterly and atmospheric images. 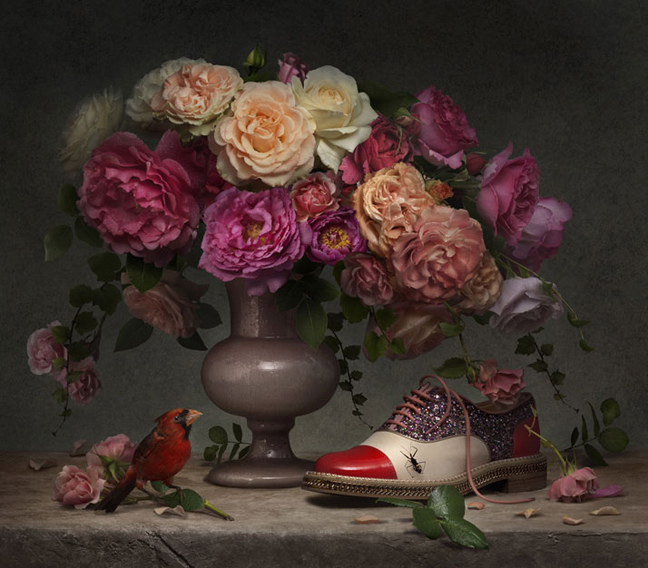 For Louboutin’s Spring-Summer 2014 collection, Peter Lippmann looked towards European art, this time drawing inspiration from some of the masterpieces of Impressionism: paintings by great masters such as Vincent van Gogh, Claude Monet, Camille Pissarro and Paul Cézanne have been recreated with real flowers, serving as a backdrop for the equally colourful shoes and handbags from Louboutin’s latest collection. The result is truly stunning! The project was shot over the course of four days with the help of stylist Marie Noelle Perriau and assistant Quentin Reytinas. 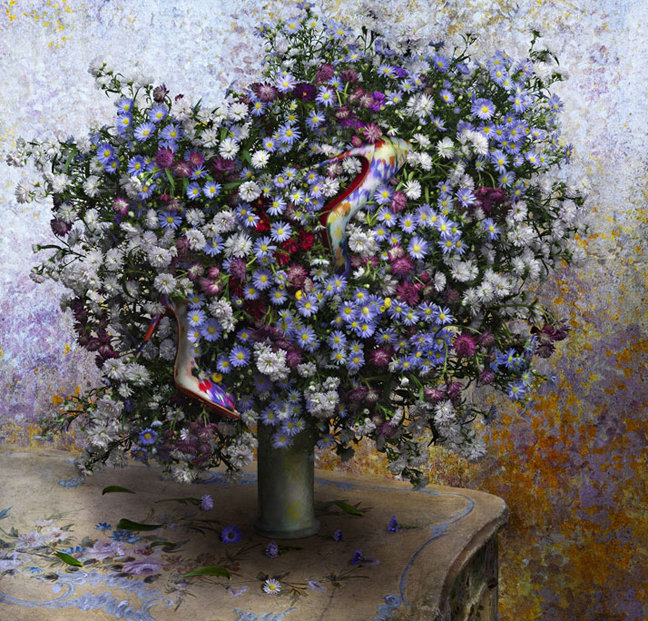 Peter Lippmann was born in New York, and now lives and works in Paris. His work has been and continues to be published in magazines such as Vogue, New York Times Magazine, Marie Claire and Le Figaro.